Christmas is coming!!! Did you know that it’s only 68 days until the Big Red Guy comes a’knockin’!!!! 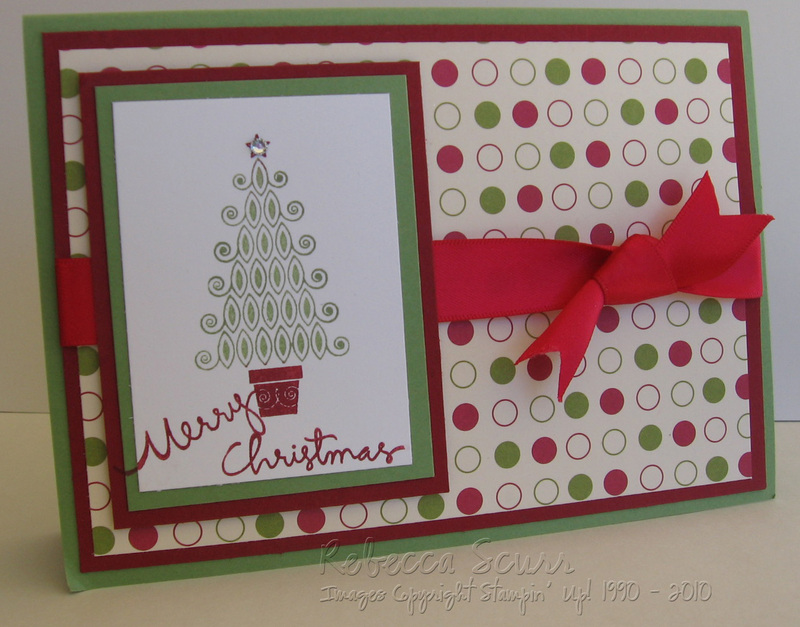 Yesterday was October’s stamp class with a Christmas theme. Here’s the cards!!! 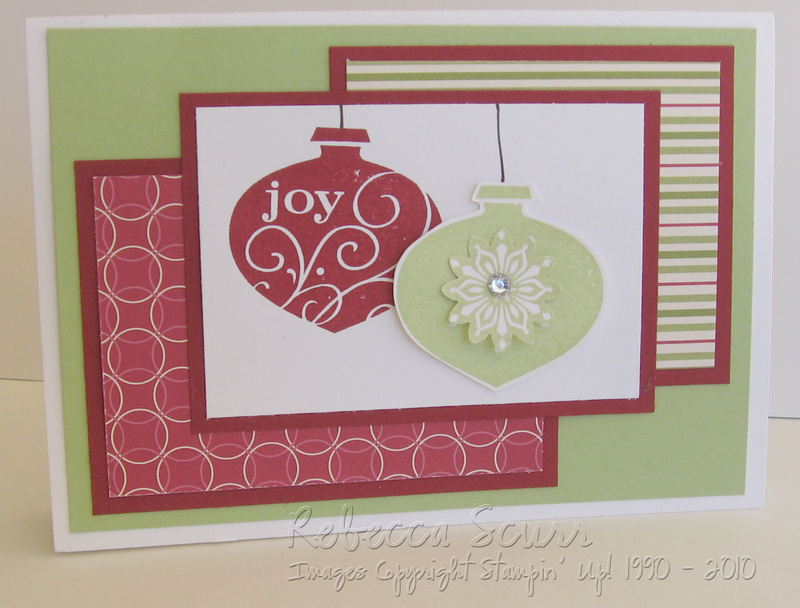 I wanted to showcase the new Holly and Jolly Rubons on this card and so I cased this great card I found by Claire Daly. Stamp set and Ink: None!! We also made the Blue and Silver card featured in my previous post on 25 September 2010.
gorgeous cards Bec! Love them.